For people who love to ski and snowboard - or always thought they'd like to try! We are always open to new and renewal members of all skiing and snowboarding ability. Our season officially opens in September with an annual picnic and continues throughout the year with trips and social events both on and off the slopes. We encourage our members to join in, to help out and to get involved. Club News, Info and Updates -- Don't forget to check the Club News tab for what is currently happening, along with news and updates. Bulk Buy Lift Ticket Program: All unused Bulk Buy Lift Tickets that need to be returned for credit for next year need to be returned now. Mailed tickets must be received by Tuesday, April 30, 2019. 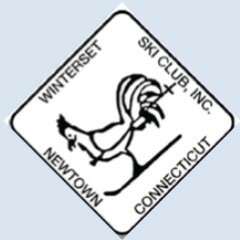 Connecticut Ski Council Awareness Days schedule is available. Welcome to the 2018-2019 Ski Season: The new ski season kicks off September 1st, 2018. We are once again using the online renewal format that was put into place several years ago. Members will be able to sign up & renew memberships on line, with the option of paying via credit card or mailing in a check. More information available on the Membership page. Members renewing their membership after October 1st will pay a late fee. Membership Logon and Passwords: Members will need their logon name and password to access the Membership renewal. Forgot your logon and/or password? Click on the Membership Logon in the right hand corner under the header and follow the instructions for Forgot logon or password. Email Notifications: Winterset uses email as a primary mode of communication. Stay current and up -to-date by reading your emails. Not getting emails? Have a new email address? Need to change or update your personal information with Winterset? Our new website and email account lets you make changes and update information yourself. You will need to go to the top right hand side of this page where is says: MEMBER LOGON, click the little down arrow and hit PROFILE. You should be able to check your membership status, email address and mailing address from there. Winterset Ski Club is always open to new and renewal members of all skiing and snowboarding ability. Membership in Winterset allows you to take advantage of discounted lift tickets through either the CSC's special programs: Bulk Buy Discounted Lift Ticket Program, CSC Awareness Day Program, and their many other benefits and discounts. In addition, Winterset subsidizes Day Bus Trips, Weekend Ski Trips and Week Long Ski trips throughout the Ski Season along with social events all year long. Our season officially opens in September with an annual picnic and continues throughout the year with trips and social events both on and off the slopes. Winterset encourages members to join in, to help out and to get involved.